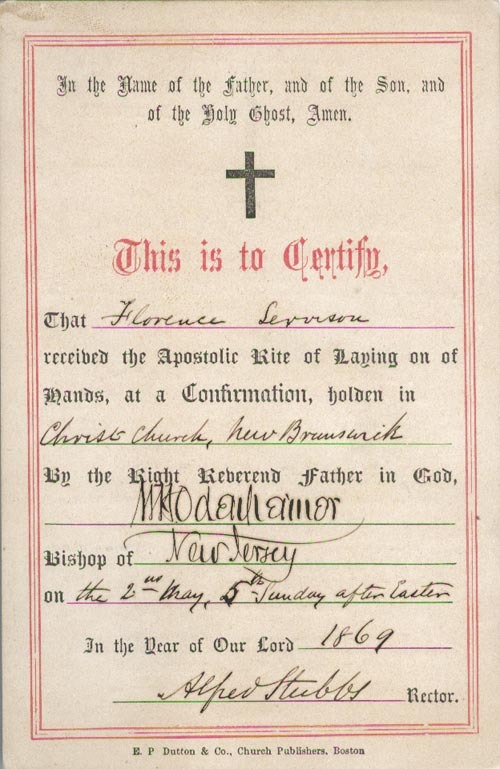 Florence Servison received the Apostolic Rite of Laying on of Hands, at a Confirmation, holden in Christs Church, New Brunswick, New Jersey, on the 2nd May, 5th Sunday after Easter, 1869. Are you looking for SERVISON ancestors? If so, we suggest posting a query to our Community Message Board to get assistance from other researchers.